The creepiest museum in Philadephia assembled this hauntingly beautiful collection of rare artworks that all share the same central ingredient: human hair. 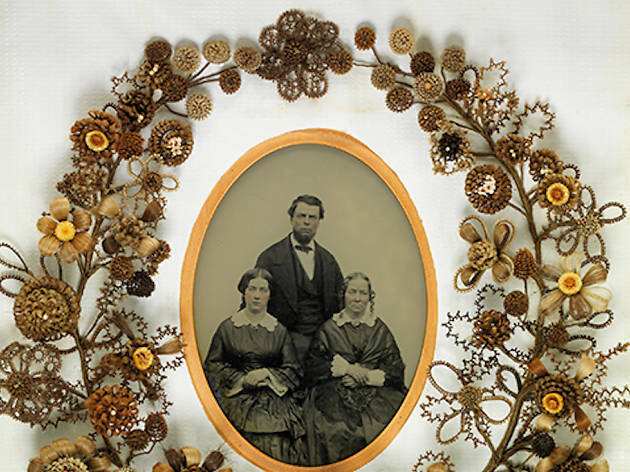 The practice was a popular form of folk art in the Victorian era that paid homage to deceased loved ones (yes, many of these locks were plucked from the head of dead folks) or served as a simple trinket traded among friends. 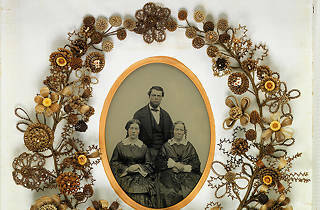 Items on view include wreaths, braided jewelry chains and family portraits accented with hairy decor.